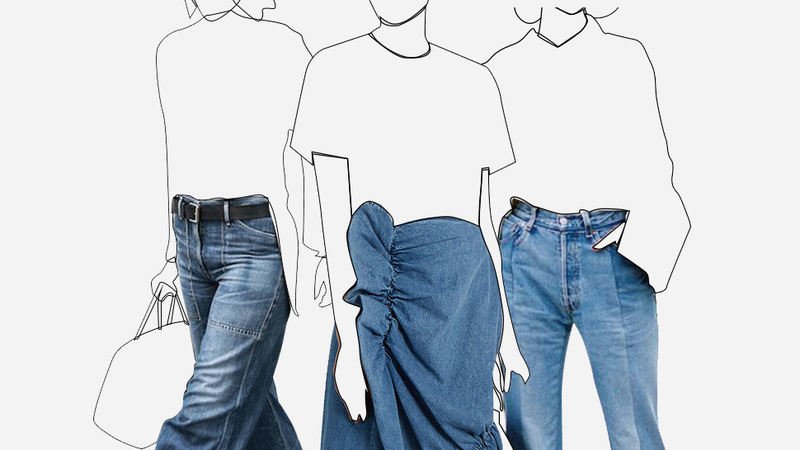 Last year saw mom jeans, huge cuffs on wide legs, two-toned homages to the '90s, track stripes, and then some dominate our wardrobes, and while all of those are totally still en vogue, don't you want to know what's even newer? 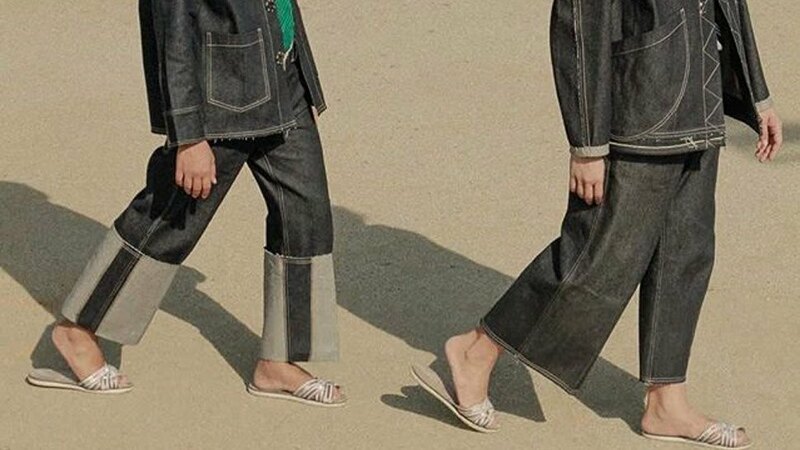 We're talking about these five new-old denim darlings poised to rewrite your jean-eology. Study hard! Don't you quirk that doubting brow just yet. Bermudas, perhaps the biker shorts' more polished cousin, have also come back full-force! Easy, foolproof ways to style 'em? With a silken blouse and beribboned pumps like Nika Huk, or travel-friendly via Pernille Teisbaek's trench-and-boots combo. You pick. Clang those pots and pans 'til Paris Hilton's 2004 wardrobe resurrects from the noise, because the low-rise jean is ready to hug hips once again. Update this ol' frenemy by taking cues from Linda Tol: streamlined silhouette, eye-popping hue (Paris pink, perhaps? ), and humongous sleeves. 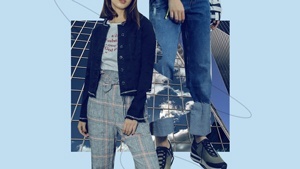 Actually, we mean that colored denims are generally bathing in the spotlight, but we also noticed that pink is their current flavor à la mode. We do like ourselves a frothy strawberry milkshake—and while these may not bring the boys to your yard, you'll definitely be raking those style points in. Just ask Camille Charriere and Irene Kim! The pants-droppin' popular crew of two decades past are likely wiping away proud tears right now. The looser, the better! Cargos and slouchy silhouettes paired with shrunken jackets and baby tees are what the kids these days prefer. Join in if you want, just don't forget the tiny sunnies and chunky sneaks. Yes, misbuttoning your jeans is a thing right now. Whether you're aiming to channel feigned nonchalance or, on the other end of the spectrum, calculated I'm-different cool, it works! 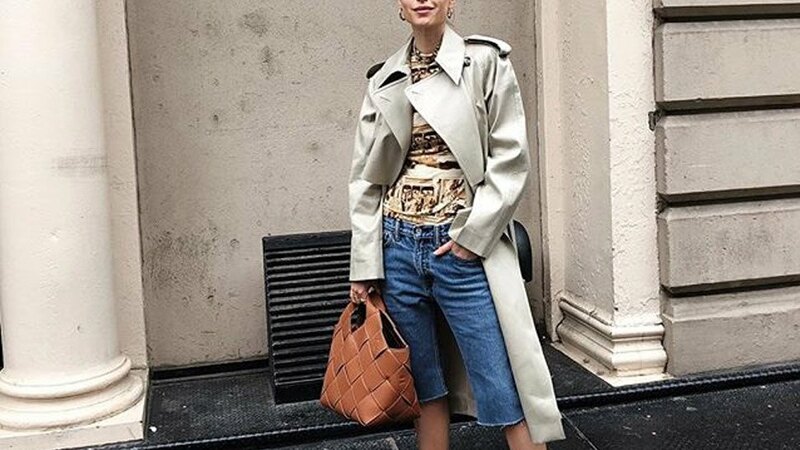 We love the inside joke here: If you're convinced your fashionable friend made a mistake getting dressed this morning, you ain't part of the club. It was intentional, duh. 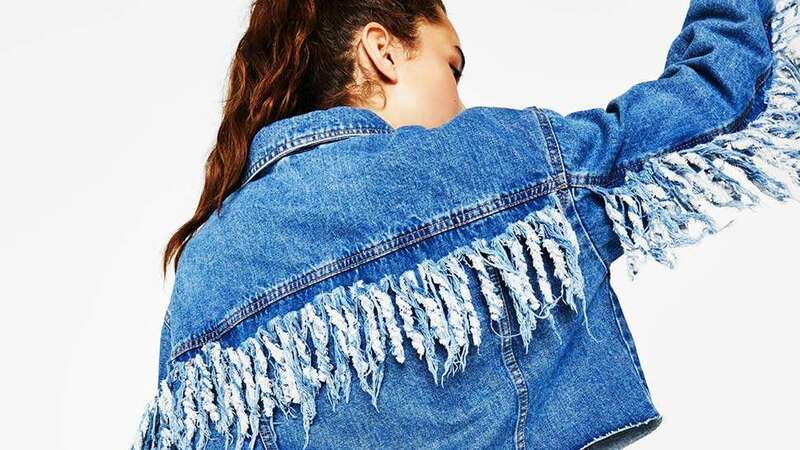 Denim is the quickest to style when in a rush, and co-ords get you put-together instantly...so why not merge the glorious convenience of both? It's brilliant, and we're thanking Calvin Klein's Spring 2018 collection for the tip. Modern cowboy as a concept has never sounded so appealing.